Industries of all sizes rely on on-the-go communication to keep operations running smoothly, which is why more and more businesses are installing wireless communication systems in their company vehicles. 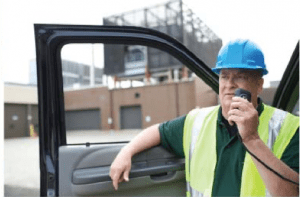 If you’re considering employing Motorola Vehicle Radios in your business fleet, you need to make sure that you get expert installation to ensure the reliability and performance that you need. Vehicle upfitting can involve many different tasks and every vehicle can have its own specific requirements. At Radio Communications of Virginia, we can handle all of your upfitting requests with the greatest of ease. Our experts can outfit your vehicle, not only with Motorola radios, but with audio and visual warning equipment, organizational consoles, computer mounts, and more. Whatever type of vehicle you have, RCV can provide a tailored turn-key vehicle installation solution for any company, making auxiliary equipment look like it was meant to be there straight from the factory. RCV provides installation work in one of the best facilities you could hope to find. Our building features multiple expansive and climate controlled bays that allows us to complete large upfitting orders in a short period of time. From electric vehicles to boats to double-axle dump trucks, we can provide installation services to any vehicle you may have in your fleet. When you buy two-way radios to handle the communications for your business, make sure that you work with Radio Communications of Virginia whenever you need expert vehicle installations. Contact us today!